Google Executive Chairman Eric Schmidt has told an Italian newspaper that the company would release a Nexus tablet within six months. Google's sudden turnabout on releasing a signature Android tablet may reflect his confidence that regulators will approve the Motorola acquisition and concern about Amazon coming to dominate the Android tablet market. Six months is way late in a market overrun by tablets -- more than 100 -- but with just a handful pulling meaningful sales. Apple's iPad 2 is the market leader by huge margin, according to IDC. In second quarter, iPad media tablet share, based on shipments, was 61.5 percent. Second-ranked Samsung: 5.6 percent. There's no question Google should have released a tablet -- that's past tense -- as in six months ago instead of six months from now. Year ago would have been even better. During Consumer Electronics Show 2011, I opined: "The most important tablet is missing from CES, and it's not iPad 2". I referred to a Google tablet that would do what then two, and now three, smartphones have done for Android developers and hardware manufacturers. During CES 2010, Google released the Nexus One. The search and information giant designed the HTC-manufactured smartphone, which ran the then newest Android version -- 2.1. Many bloggers and journalists wrongly wrote that Google charted new retail waters by selling direct. I repeatedly corrected this claim. For example, Nokia has sold phones direct for years, Many blog or news posts about the N1 also missed the point: Google wasn't going into retail sales but establishing a reference design for manufacturers and developers. From that perspective, Google executed brilliantly with N1 and continued with December release of the Samsung-made Nexus S.
Google and Samsung announced the smartphone in late October, and the HSPA+ model went on sale internationally in mid November. Verizon started selling the smartphone in the United States last week. Galaxy Nexus is more than just a reference design -- it's the mass-market Google phone. Google should do for Android tablets what it did with smartphones: Release a branded device that is reference design for manufacturers and always has the lastest Android software for developers. Otherwise, Android tablets have little to no chance competing with iPad. The market of Android competitors is simply too fragmented. That said, Amazon shows how one competitor can shake up the Android tablet market. But Amazon's objectives are contrary to Google's, since the online retailer, like Apple, wants to deliver a curated user experience. For example, if I type the web address to Google's Android Market into the Silk browser on my wife's Kindle Fire, Amazon's Android app store opens instead. On other Android tablets, Google's marketplace is default but there is option to sideload from other stores, like Amazon's. The retailer offers a curated experience -- apps, ebooks, music, movies and online physical goods sales -- and that's sensible for its business model. Google needed to take leadership over the Android tablet market a year ago. Amazon is filling the vacuum, culling Android and supporting apps to its own benefit. That's good for the retailer, not necessarily for the broader Android tablet market and certainly not for Google cloud services. Google's absolute leadership failure is Amazon's opportunity. That Schmidt finally is talking about doing something also reflects something else: Assuming that Google isn't outsourcing Nexus tablet to HTC or Samsung, Motorola likely will produce the device and is prepping now for when the merger finally goes through. 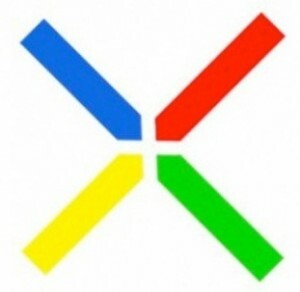 Actually, Moto-built, Google-codesigned Nexus tablet would be helluva way to kickstart the new operation. But the market can't wait six months, something that will be absolutely clear when a bazillion new tablets launch at CES next month and Apple launches record holiday iPad sales.